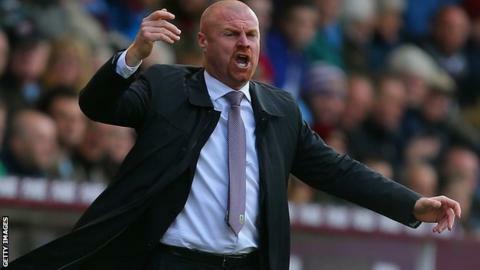 Burnley players will not dive to win penalties in their bid to avoid relegation, insists boss Sean Dyche. He said he had been told by one prominent manager to "move with the times" when it comes to what is called simulation in the modern game. Dyche says he has been surprised by the levels of diving he has seen but added: "There is a certain way of playing. I believe we play in the correct manner. "There's been minimal, if any, simulation from our players." He added: "I see simulation constantly in this league, more so than I ever thought I would." The Clarets have had just two penalties in the Premier League this season. Dyche, who would like to see offenders punished by retrospective disciplinary action, added: "At this level we have been naive at times, in the right way. "I think that's sad that players just can't go out and play and get decisions that they should get. "One prominent manager I am not going to name said to me, 'You are being naive, you should get your players to move with the times'. It's not my belief. You should play the game properly. "If someone touches you in the box and you go down, that's always been there - that's not cheating, that's just gamesmanship. That's part of the game. There is a difference. "I'm on about absolute simulation where there is no contact and people go to the floor."